Though any hopes of a stateside drop have all but vanquished, it appears that our friends in Japan will have the opportunity to land the "Quai 54" Air Jordan Retro 5 this weekend. Though any hopes of a stateside drop have all but vanquished, it appears that our friends in Japan will have the opportunity to land the "Quai 54" Air Jordan Retro 5 this weekend. Created for the Jordan Brand's streetball tournament in France last month, the shoe features a white tumbled leather upper with radiant green, black and metallic silver accents. 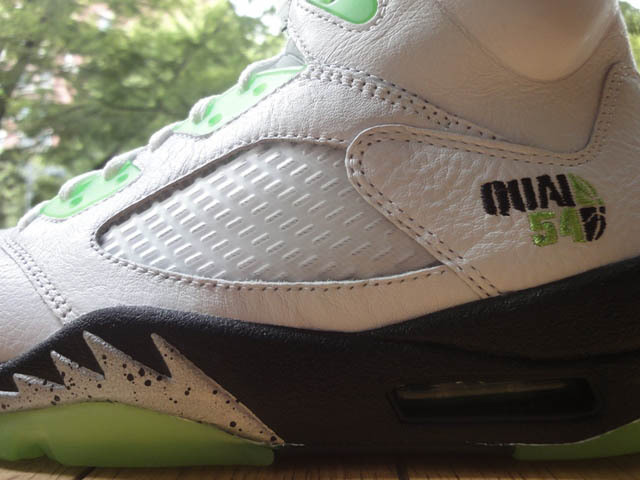 Replacing '23' embroidery on the heel is the tournament logo, making the Retro 5 the official shoe of the 2011 Quai 54 Tournament. 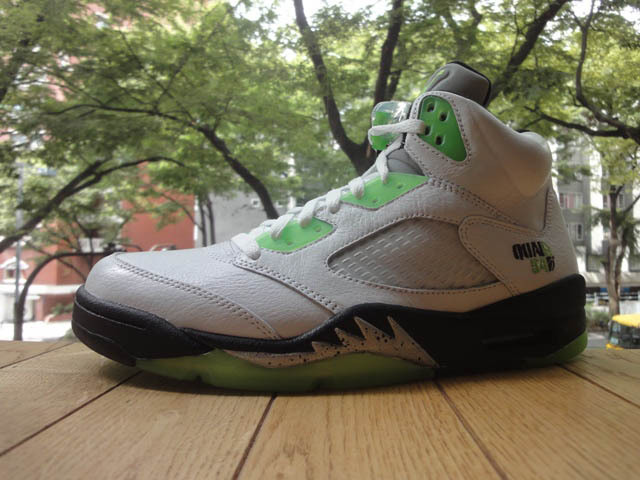 Japanese readers can find the "Quai 54" Retro 5 at select Nike and Jordan retailers, like Nike Harajuku, tomorrow. Harajuku will be holding a two-day drawing on Saturday and Sunday.